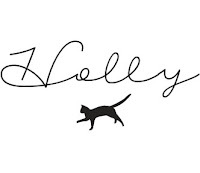 Hello lovely people! 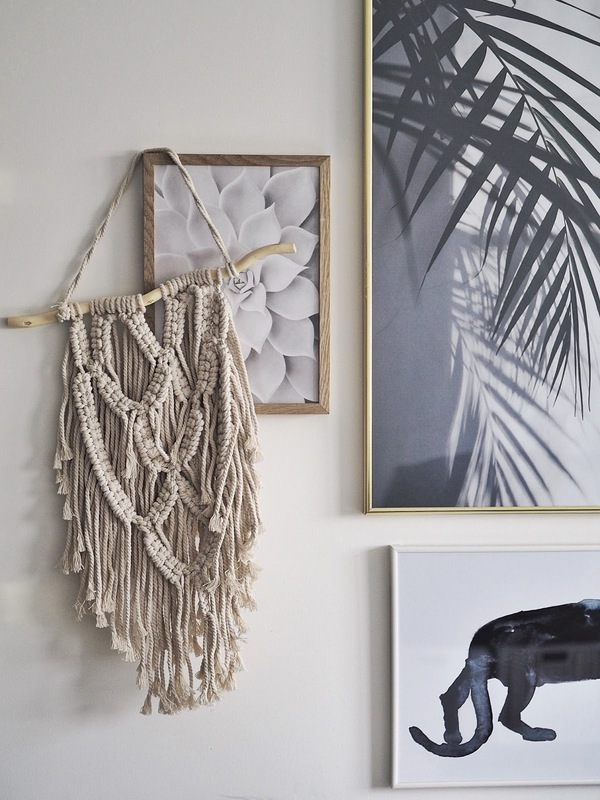 Welcome back to another interior/home instalment on the blog. Weirdly enough, I had no intentions of ever becoming an interior blogger but you guys have been requesting more home-themed posts and I am v. happy to give em to ya. 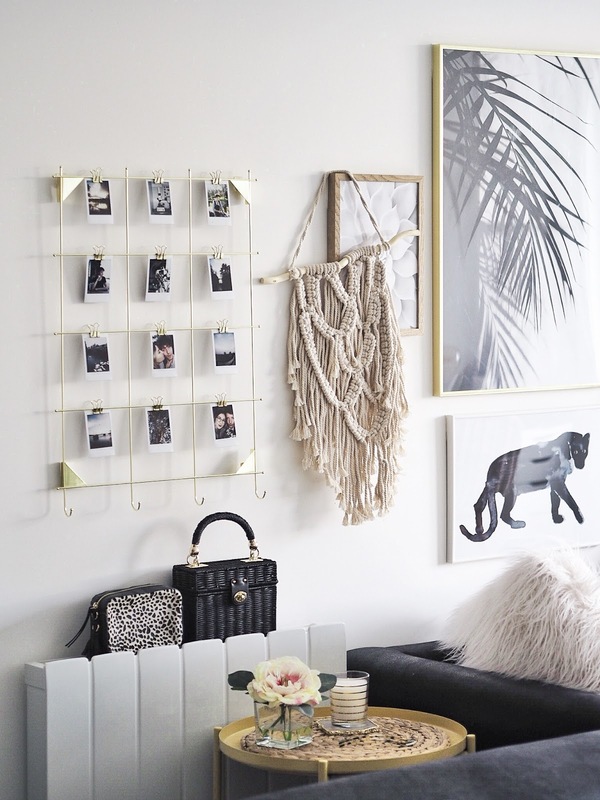 Really, it’s an excuse to deck my home out in even more ~ dreamy ~ interior bits and bobs…. 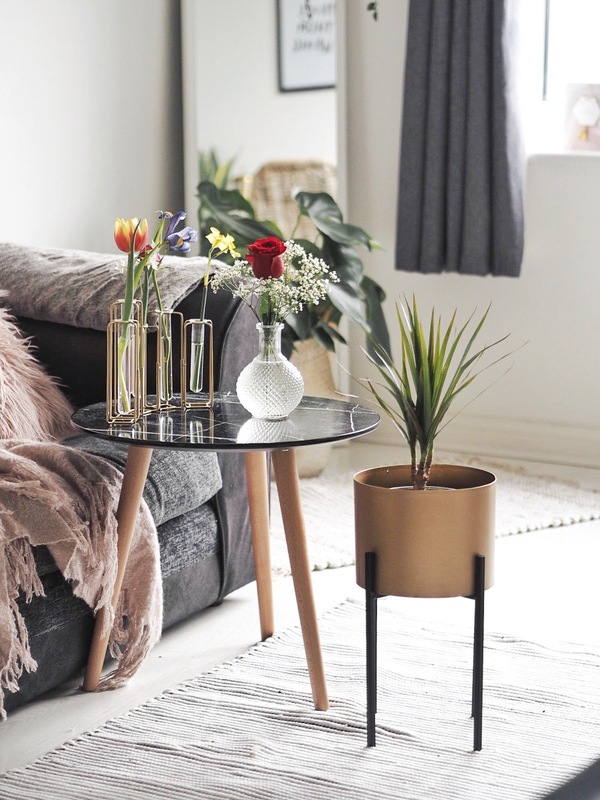 but it’s also a fab way to share some of my bargain buys with you, proving that you don’t always have to splash out on homeware to get that modern, hygge vibe that everyone’s loving right now. 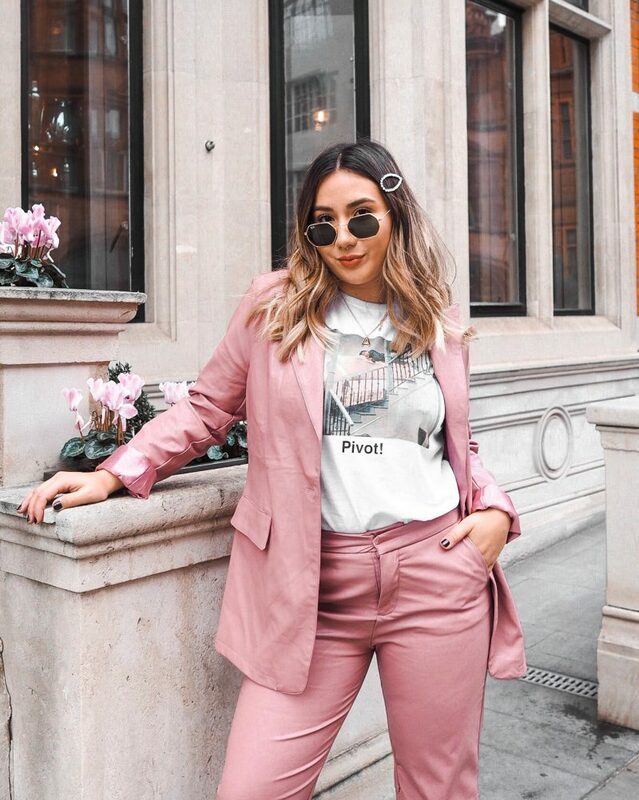 Matalan* got in touch a few weeks back and I’ve put together a post filled to the brim with my fave bargain pieces from a brand that I have always shopped with for homeware items. Matalans’ current collection oozes cosy, hygge vibes that won’t break the bank but look the scandi style part, for sure. 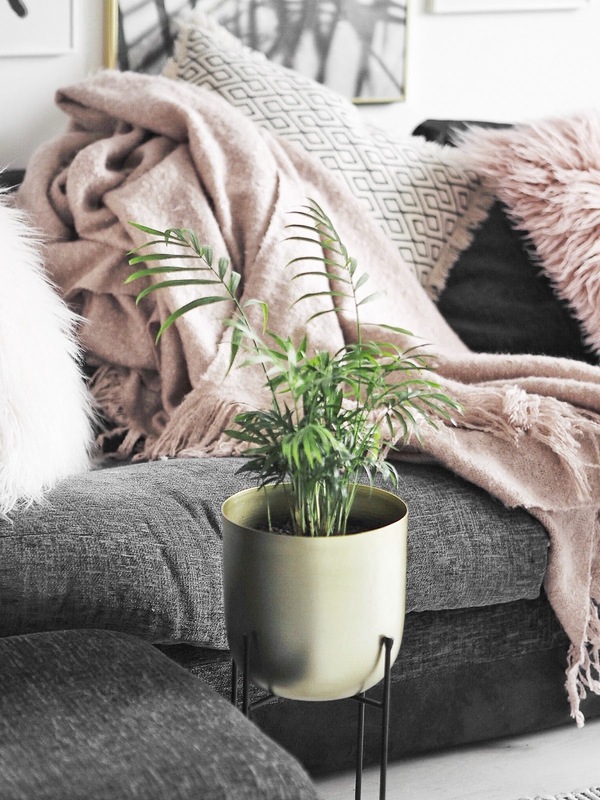 Top tip for adding hygge vibes – cosy throws and cushions a plenty! 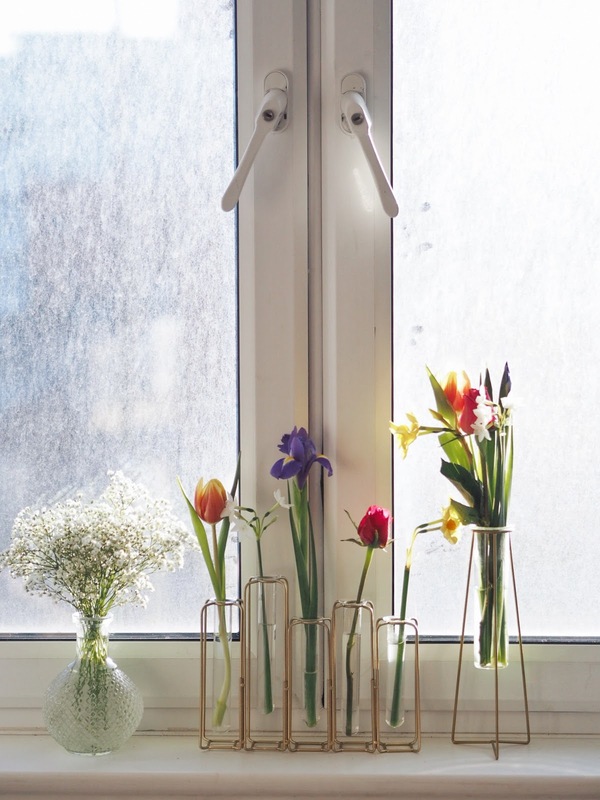 Hygge is all about creating warmth, lived-in energy, and somewhere that you feel peaceful and comfortable. 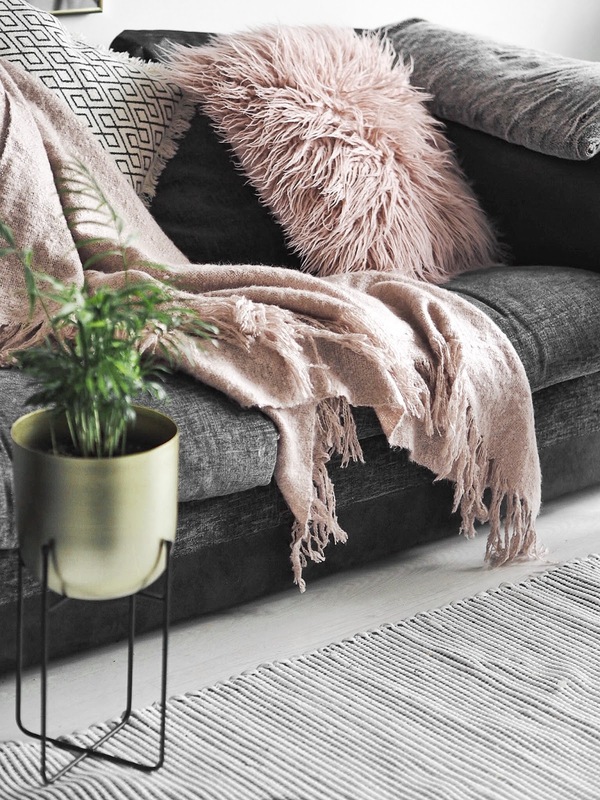 For me, nothing says “ahhhh” after a long day like cosying up on a sofa covered in fluffy cushions and a soft throw. 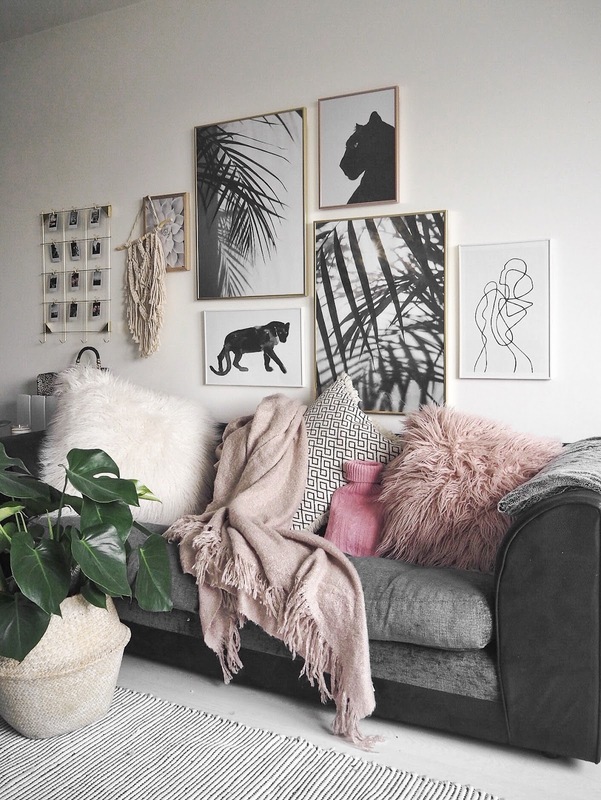 The Pink Mohair Throw* (£25.00) looks fab draped on the sofa candidly, and it’s the perfect neutral, blush pink colour to add a little somethin’ somethin’ to an otherwise monochromatic home. I also have two fluffy cushions (bought from Matalan but last year): the 58×58 Double Sided Mongolian Cushion in Cream and the 45×45 Double Sided Mongolian Cushion in Pink. 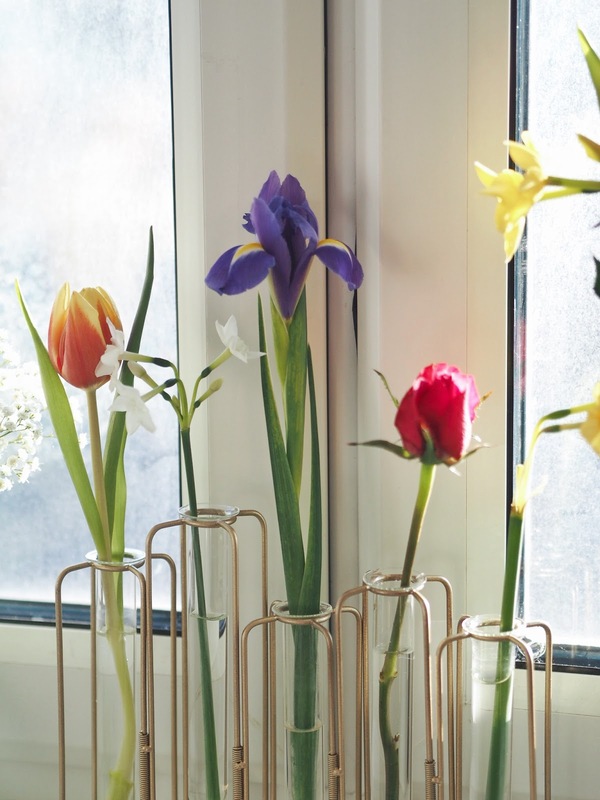 To contrast with all the neutral fluffiness, I’ve opted for some pretty cute vase-alternatives in the Single Stem Test Tube Vase Rack* (£10.00) and Single Stem Test Tube Vase* (£5.00). 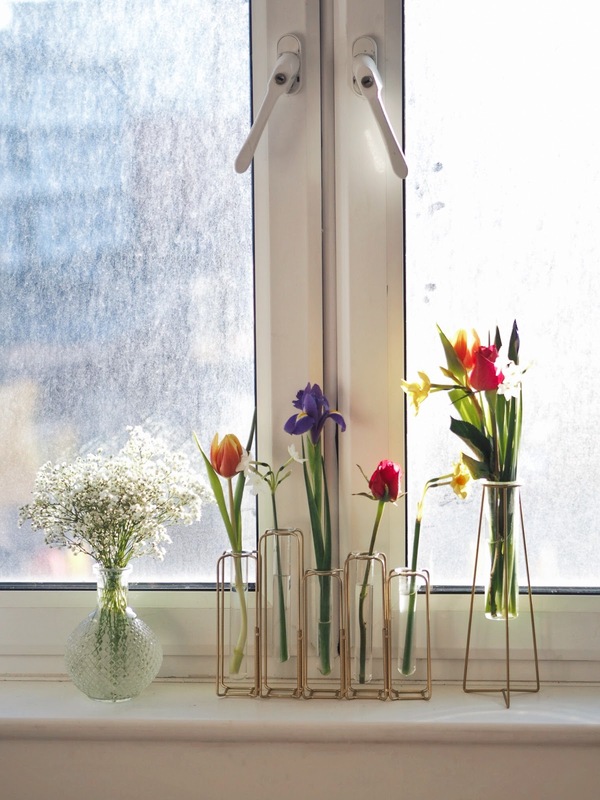 I bought a big bouquet from a supermarket and split it up into the small test tubes, with one of each type of flower in the tubes, and then a bunch of them in the single tube vase. 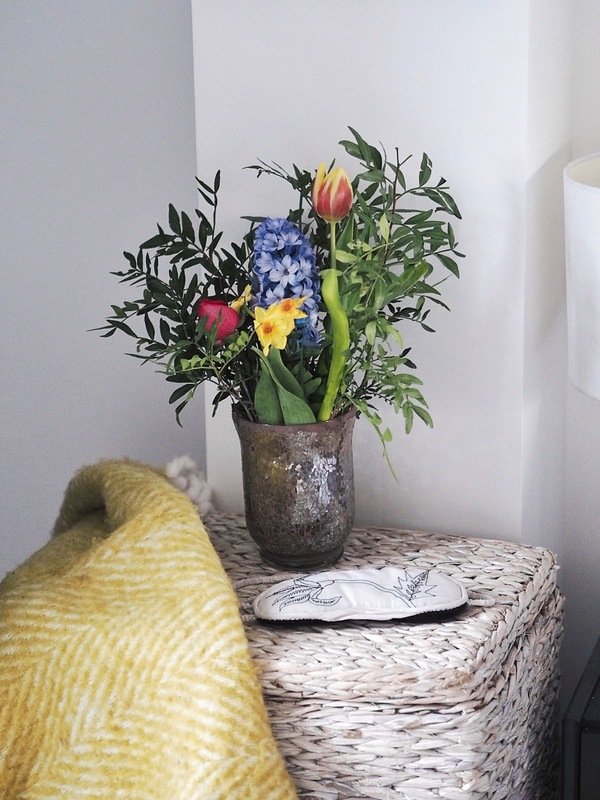 Anything left over went in a spare vase in my bedroom and ta dahhhhhh you really end up making the most out of your fresh florals! As indoor plants go, you guys know I’m a massive fan. I’m just a real big advocate for bringing the outdoors… indoors, and this really is channelled through the scandi interior style. When I was in Stockholm, even office buildings had plants in all of the windows and it does prove to be a big mood booster. 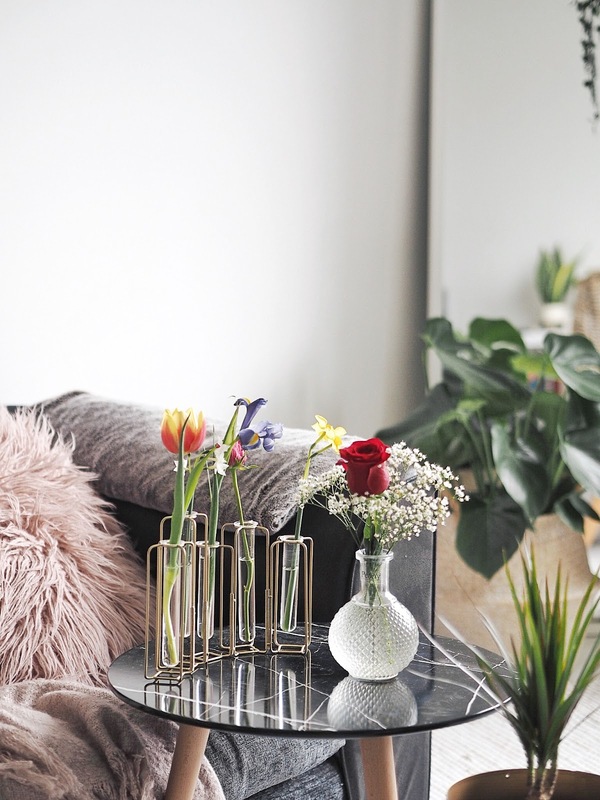 Apparently our moods are instantly lifted when we see nature, so I’m on a mission to create a mood boosting home! Both of these Metal Planters* are fab for keeping some type of structure of industrial style when adding lots of plants to the home. 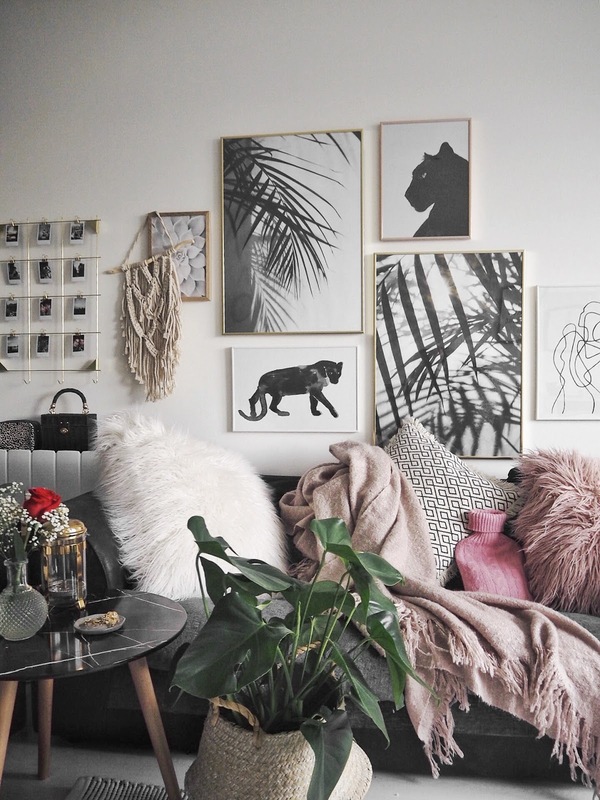 If you’re into wall art, why not branch out and pop up a little something different which will really make your interior *pop* and stand out from the crowd? 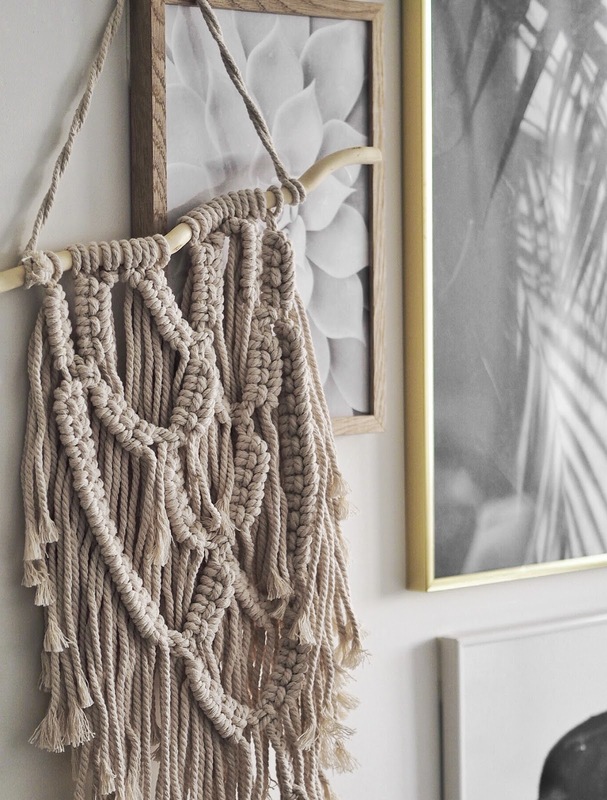 This Macramé Wall Hanging* (£12.00) is perfect for adding a little texture to an otherwise glossy print wall. I haven’t hooked mine up on anything as I like the freedom of moving it around in my apartment as I see fit, and it hangs really nicely on prints I already have up on the walls. 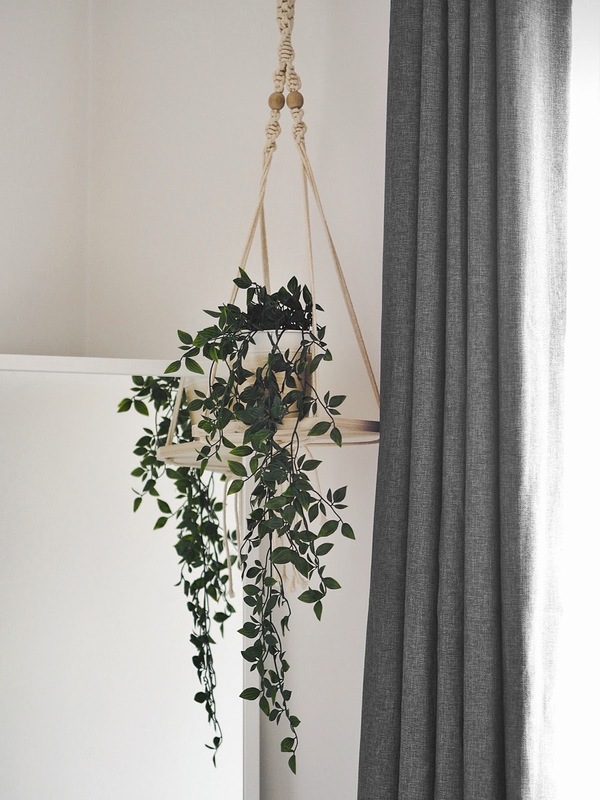 The Hanging Wood Plant Holder* (£6.00) is also really cute for creating that “hanging ivy” look! 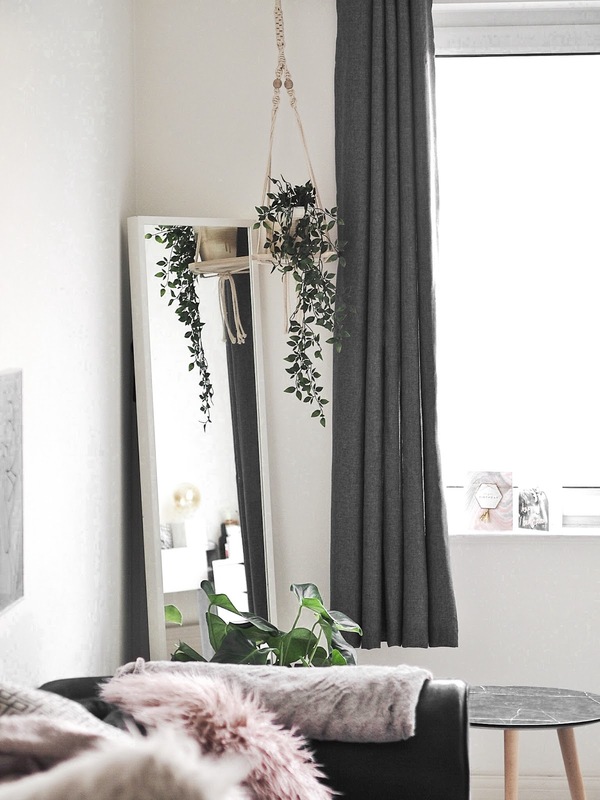 I’ve hung mine up on the curtain pole in the living room as it’s a rented property and I would 100% not recommend using wall command hooks on the ceiling as the loading is v. different and the adhesive isn’t made to withstand the force in that direction (I have a master’s in engineering, trust me…). The curtain pole is right next to my mirror and this creates a little bit more of a cosy framing. 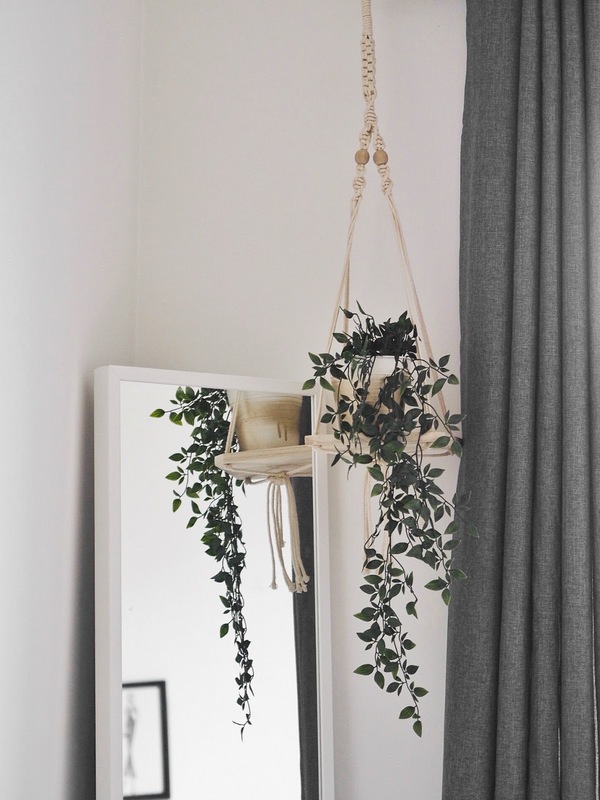 I just popped in a faux hanging plant from Ikea and hey presto, instant ~ instagrammable ~ interior! 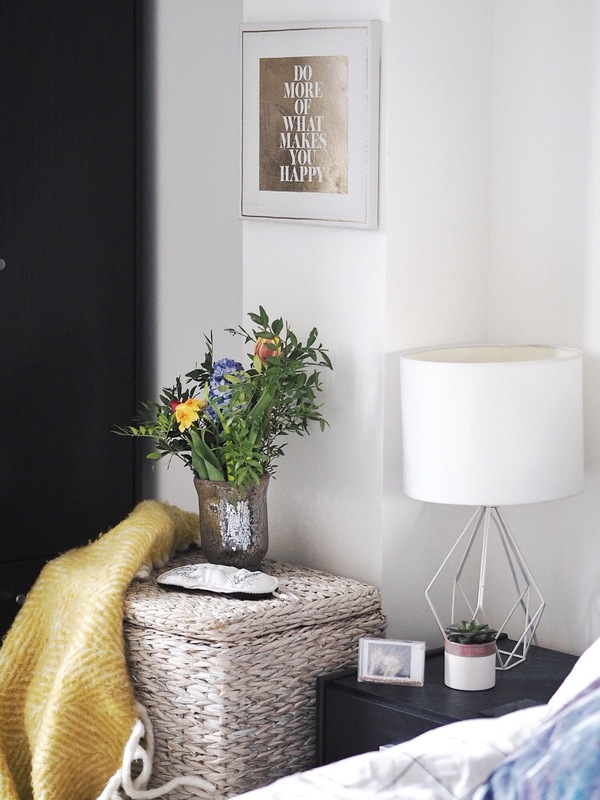 Last but not least, taking something really “everyday” and mundane like your laundry basket and making it ~ interior ~ can really spruce up your bedroom. 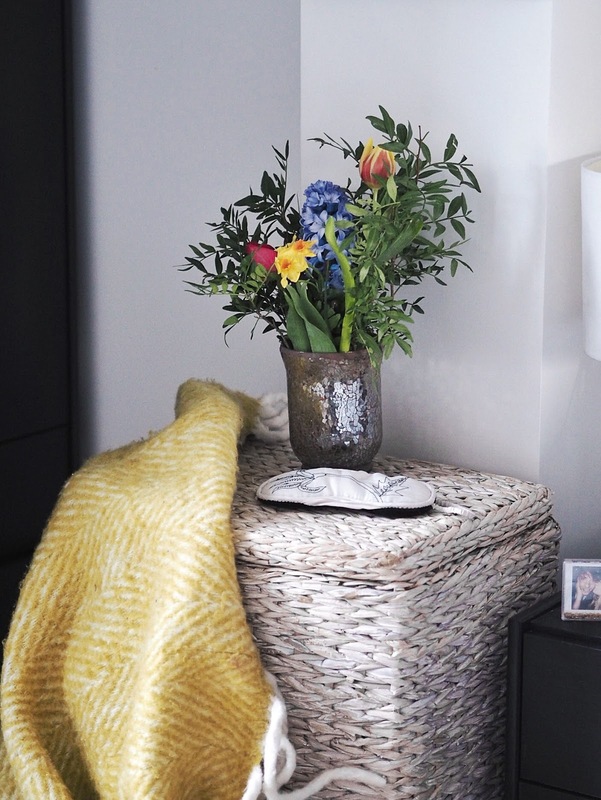 I chose the Wicker Laundry Basket* (£35.00) as it’s a mix of white effect and natural jute which makes for a lush weathered effect, and since natural notes are a running theme throughout my whole apartment, it pulls in and channels that same theme into the far end of the bedroom too. It’s also a flat top, which is super handy as you can decorate it whilst it’s not in use, like I have, which makes it seem more like it’s supposed to be there as a statement, rather than just there for practicality purposes! 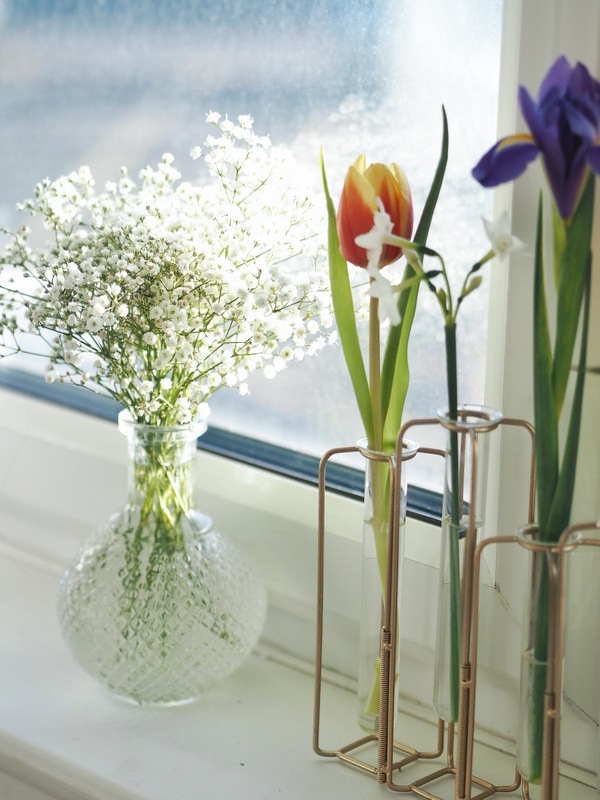 Are you a big fan of the cosy, scandi hygge style? 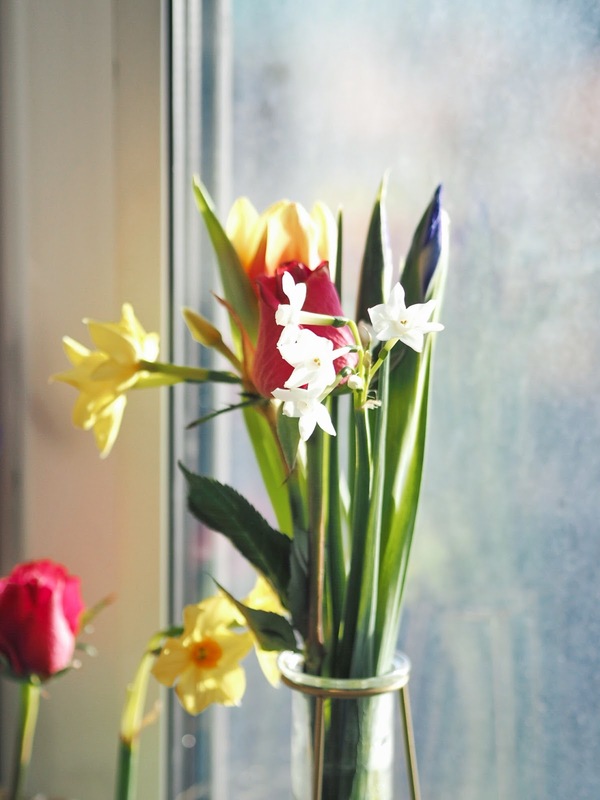 How do you make your house feel more like a home?